While the Conservative Manifesto was packed full of things like votes on fox hunting, cutting winter fuel payments, the infamous dementia tax and impeding protection of elephants, the Queens speech was a lot more neutral and politically friendly. The speech concentrated on a raft of BREXIT legislation, and there were some positive, forward looking proposals for Agriculture, Fisheries and the Space industry. 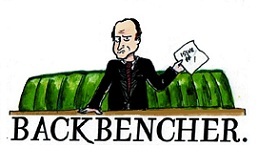 Many Conservative MPs are right in pointing out that if the current Queens Speech had been the actual manifesto, the election result would probably have been a lot more favourable. However the Queens speech still lacks something. Its lacks any optimism, any panache, its lacks excitement! Its seems the government are being dragged along, kicking a screaming, just doing what they need to do to stay in power, rather than promote any optimistic view or vision for the future. In this post BREXIT world, Its seems the government, and the county as a whole is totally focussed on protecting what we currently have, rather than looking at what we could have and preparing for what life could be like outside the EU. The Tories continue to play into Jeremey Corbyns hands as he is the only politician offering the electorate a different and positive (in his opinion) optimistic & exciting future. Older voters know from experience what Corbyn’s socialist government would be like in reality, so they won’t be fooled into voting for him. However the Queens speech does nothing to talk to the young and middle aged voters who are deserting the Tories in their thousands, it’s these voters the Conservatives need to re-connect with and excite! Let’s just look at the Tec industry for example. The Queens speech saw a welcome promise of a new data protection law. This is a good positive step and will reassure the tech industry. It’s a much needed bill and please don’t think I don’t support it. However it’s not the kind of policy to excite the electorate, or make tech companies bosses toss and turn at night, not being able to sleep because they are so excited about the future of their industry. There can be few sectors of the UK economy which has taken the news about Brexit so negatively as the Tech sector. During the referendum campaign, tech leaders urged votes to remain inside Europe, casting dull and dire forecasts about what would happen if the UK voted to leave. One survey suggested 87% of the industry opposed Brexit. Once the result of the referendum was confirmed, the UK tech industry took the news harder than most. Industry leaders looked and sounded angry, dazed and shocked. Their mood was not helped by a white truck (Paid for by the German FDP party) driving around the streets of Tech friendly Shoreditch with a billboard carrying the message “Dear Start Ups, Keep Calm and Move to Berlin”. Although most tech bosses understood the billboard was intended as a friendly joke or a marketing stunt, it’s clear the industry was and still is under attack with reports that Berlin’s senate has contacted businesses trying to encourage them to move, and promising payments from the European Investment Fund. A year after the result, the UK tech industry is still largely feeling anguish and gloominess about their outlook. Most still see their future as being tangibly linked to the EU, and cannot see how their future can be brighter outside the EU. The Tech industry alongside the UK car manufacturing industry are two sectors that that see their economic futures directly linked to the EU, and view Brexit as creating barriers and obstacles in the way. One of the immediate priorities of the new Theresa May administration has to be to calm these concerns and recognise the importance of the UK tech industry has to our economy, and the endless possibilities for economic growth it possesses. Silicon Roundabout in Shoreditch – so called due to the number of tech startups in the area. 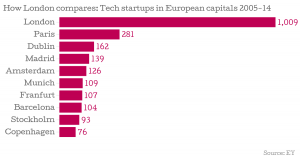 In comparison to the rest of the EU, the UK tech industry is and has been booming. The UK has more Tech start-ups than any other major European country, and is home to 40% of Europe’s unicorns (start-ups valued at £1bn or more). Most important is that the UK tech industry receives one third of global Venture Capital investments made in Europe. On this basis you can understand why a tech industry viewing life outside the EU are so depressed. However, having a successful tech industry inside the EU is one thing, but when viewed on a global scale, Britain’s tech industry s mediocre at best. Many people agree the EU is in a digital recession, and the UK is nothing more than a flickering light in the gloom. According to research conducted by Tufts University, who rank 50 countries by digital momentum, Europe hold the bottom 9 sports. The UK is ranked 34 out of 50, France is ranked 46 out of 50 and Holland is last. Have you ever wondered why none of the huge, truly successful internet companies are European? 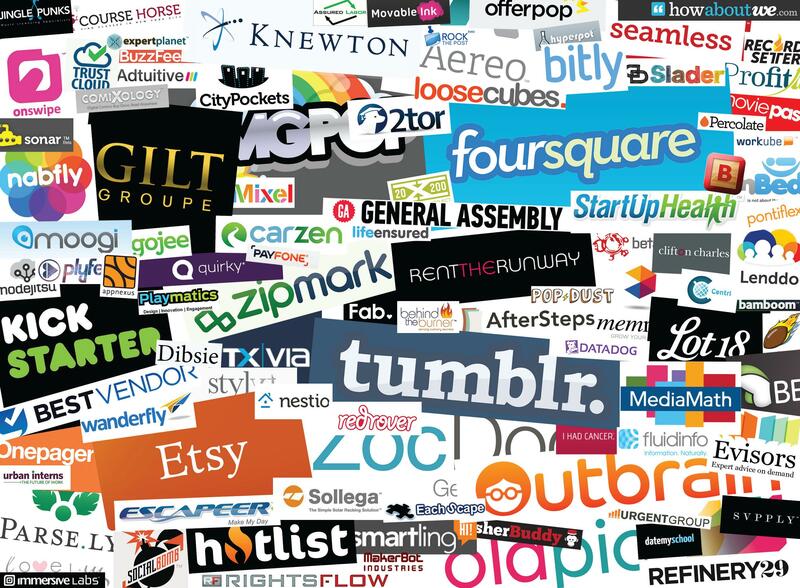 Google, Amazon, EBay, Yahoo, Alibaba, Facebook, Twitter the list of new companies which have impacted our lives, but why have no European Tech start-ups made the leap to this level? Why did it take UK & European tech businesses so long to understand the potential of the web and online shopping and services? In an interview on CNBC, Alphabet (Google) Chairman Eric Schmidt was brutal in his assessment of the European tech industry. He said out of 300 investments in future technology Google has made outside of America, just 10 are in Europe. He continued to say “There are a gazillion laws which makes it difficult to be an entrepreneur in Europe. It’s much more difficult to be an entrepreneur in Europe than it is in the USA”. He also said “European governments are always nice, they always listen and say yes, then don’t do anything about it”. The final thing he said which struck me like a bolt of lightning was “We hire thousands and thousands of Europeans because they don’t have start-ups that they will go to”. When the Chairman of Google talks about the European tech industry like this, we should all agree the UK tech industry should and could be doing better. This is the current state of play in the tech industry, but the UK is lagging even further behind in the booming robotics industries. The US robotics hot shots from Silicon Valley are parading prototype robots that can walk and think for themselves (have you seen the freaky Boston Dynamics You Tube videos?). Senior pension fund managers who are managing our pensions are investing money in a future world where all taxi, buses and commercial vehicles are driverless, and robots look after our sick and elderly. Artificial Intelligence is apparently still 10 years away, but that’s only 10 years. If we stick to the fixed term parliament, then in theory Artificial Intelligence and robotics could be having a major impact of jobseekers by the end of the next parliament. This huge business opportunity is again passing the UK and European Union by. It’s interesting to note there were more robotics companies started in Israel last year, than the rest of the European Union put together. In order to support the UK tech industry, and ultimately make it stronger as a result of Brexit, the conservatives should adopt the following 4 point plan. STEP 1 – Urgent reassurance needs to be given to the Tech industry. A loud and clear public message needs to be delivered to the Tech industry that the new government recognises their issues, needs and desires. The tech industry needs to be told the UK values this sector, and its interests will be at the absolute forefront of our negotiations with the EU. The tech industry needs to be told there will be no barrier to entry for hiring the best people from around the world. Overall the government needs to send a message the Tech is at the front of our thinking about the future, and in a few years, once the dust has settled, the government intends to make the UK to most tech friendly business environment in the world, not just Europe. STEP 2 – In the following few months, the government needs to replace the DSM (Digital Single Market Initiative) with a UK equivalent which is better and more focussed on the UK tech industry and our direct needs. We should do this now, and not wait until we have a final BREXIT agreement in place with the EU. We need to find money to replace the grants and funds on offer via the EU. European tech funding is well below tech funding in North America and Asia, so we need to offer more funding and grants in the UK, than on average across the EU. It’s crucial for the future of the tech industry that the UK government is seen as more financially supportive towards tech than the European Union. This is relatively easy to achieve, and an easy win for our government. A UK Digital Initiative (UKDI sounds OK don’t you think?) can scale back the huge amount of regulation of outside tech companies, and become a more free market tech force rather than a hindrance that the EU is seen. Theresa May has already indicated she wants to clamp down on the taxes paid by big corporations like Google and Facebook, and I believe they would be more willing to pay tax in return for a more favourable tech regulatory environment. I strongly believe the likes of Google and Facebook would be happy to pay more tax if there was an agreement this money was spent supporting the UK tech industry and offering grants and support to our tech and robotics companies. STEP 3 – By the end of this parliament we should create a large Silicon Valley type tech friendly area or part of the country, ideally outside of London and the South East. This one large single area should be equipped with the very latest internet connectivity so super-fast broadband speeds are achievable. A significant amount of office space should be created, and offered to tech and robotics start-ups or young companies or companies moving to the UK from oversea at dramatically discounted prices for the first 10 years. There should be no business rates charged, and ideally some other types of tax breaks or incentives to hire staff. Once the area is set up, meetings should take place to encourage major tech companies from outside the UK to relocate to this area by offering large financial incentives via reduced rents or subsidies. Think about what James Dyson is doing, but think on a significantly larger scale! STEP 4 – Finally the government should conduct a review of how tech and robotics is taught at universities. The government should make sure the courses on offer are absolutely in line with the skills and abilities needed by the tech and robotics industries. The government should create 5,000 university scholarships each year, where the most talented 5,000 students get a free university place if they graduate from a government approved tech university with a government approved tech degree. The tech industry contributes around 10% of British GDP, so is currently hugely important to our economic wealth. The possibilities to grow this part of our economy are endless. Our tech industry needs to be propped up and supported in the short term, and set free to achieve as much as it can in the long term. We have proven or industry has the potential, talent and ability to be the best in the world in some areas (our financial markets tech software is market leading, as is our gaming software), now with Brexit confirmed this Conservative government needs to create a framework for the industry to succeed on a global stage. Its hard to see how any of the opposition parties could object to a bill of this nature. Obviously the tax breaks would lead to criticism of an off shore tax haven, but over 1.4 million people work in the UK tech sector, and the vast majority of those will be in the key voting 19 to 49 age groups. If we excite them with a policy they would support, they can watch as Socialist Corbyn and friends attempt to vote it down! A Tech plan like this would be positive, forward thinking and create excitement about our future as a country. It would demonstrate to parents who voted to remain that exciting opportunities await for their children outside the EU. It would help secure jobs and futures for over 1 million people. The technology park could help revitalise a run-down area or community, and help redistribute wealth from the South to other parts of the country. Growth of the Tech industry would help balance the deficit between manufacturing and service industries. This policy would support a guaranteed growing industry! There is a vacancy for a Tech superpower country in Europe, this policy would help the UK fill that vacancy. The date protection bill is a good start, but let’s make the electorate excited about voting conservative for the future opportunities which will present themselves under a Conservative government. This is an outline of what the Conservatives could offer the tech industry, they need to do something similar for other industries as well. All of them!